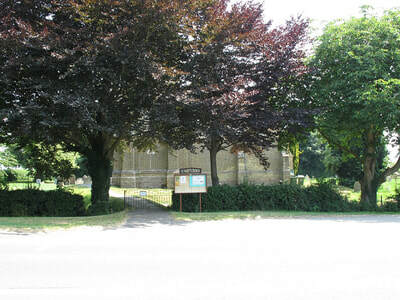 Ramsey is a market town situated 12 miles north-north-east of Huntingdon and 30 miles north-west of Cambridge. 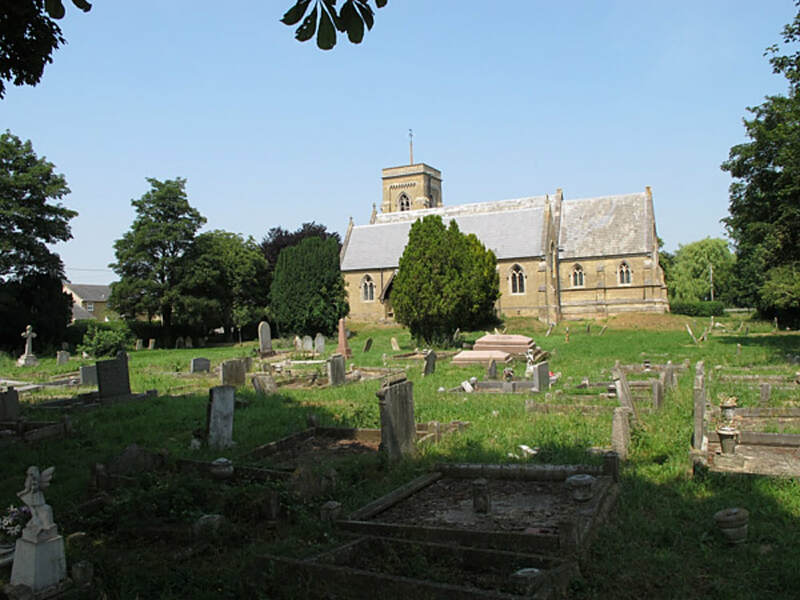 St. Mary's churchyard contains 4 burials of the Great War and 2 of the Second World War. Pte. 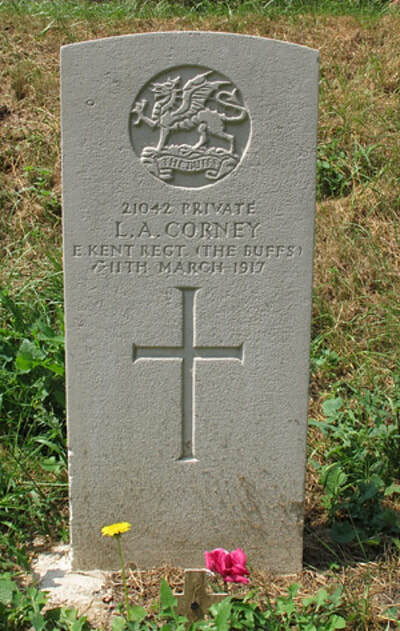 L. A. CORNEY. 21042. 3rd Bn. The Buffs (East Kent Regt.) 11th March 1917. Grave near east end of the church. Pte. William George HARLOCK. G/35039. 11th Bn. Royal Fusiliers. 22nd Oct. 1916. Husband of E. A. Harlock of Pickards Drive, Lotting Fen, Ramsey Heights. Grave near east end of the church. Pte. George HUGHES. 28224. 5th Bn. Bedfordshire Regt., transferred to (83421) Labour Corps. 28th Nov. 1917. Grave near east end of church. Pte. G. ROOTHAM. 267437. 1st Bn. Bucks of the Ox. & Bucks. Light Inf. 8th Sept. 1917, aged 24. 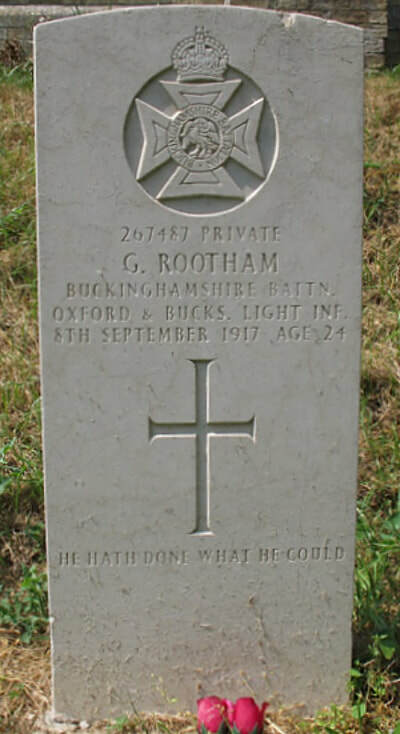 Son of William & Emma Rootham of Ramsey. 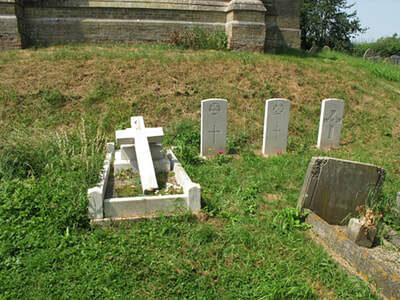 Grave near east end of church. 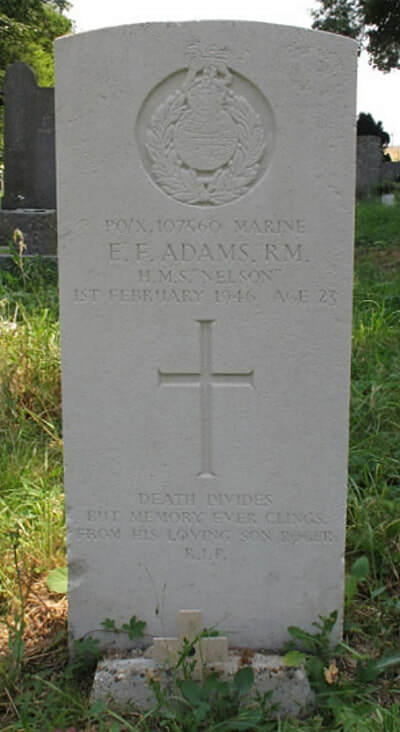 Marine Eric Frederick ADAMS. PO/X107560. Royal Marines, HMS Nelson. 1st Feb. 1946, aged 23. Son of Mr. & Mrs. William Adams of Ramsey; husband of C. Adams from Ramsey. Grave is south of the church tower. Aircraftman 2nd Class Wilfred Horace Raymond BARLOW. 1173074. R.A.F.V.R. 25th Oct. 1940, aged 20. 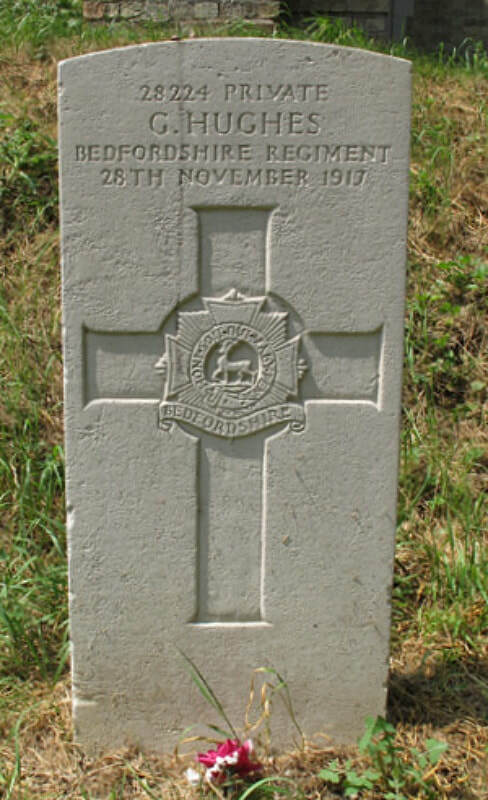 Son of Horace Henry and Elsie Barlow of Ramsey St. Mary's. Grave location not recorded at this time.